I know if I hadn’t experienced dark times, I would not have pushed myself forward to be where I am now. Many good things come out of negative situations. I am a big believer in that. However, we don’t need to continue to have unnecessary negative emotions and experiences to grow. And when I say unnecessary, I mean the negativity that is perpetually stirred up in the world, designed to keep people down. The ultimate goal is to evolve out of suffering by making the appropriate changes. I’m not saying once we’ve done the ‘work’, we will never have a negative experience again, or that we won’t have those uncomfortable hunches that lead us away from unnecessary situations, but we should avoid festering within negativity that has been purposely stoked up, if we want to live happily and healthily. 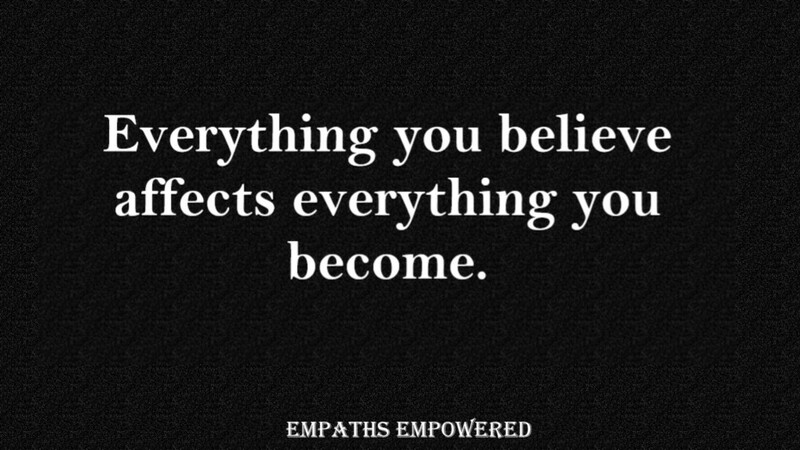 I have written before that Empaths tend to have certain negative experiences for the exact reason it keeps us evolving. The more work we do on ourselves, the faster we vibrate, and these experiences should lessen. Luckily, we can come to recognise the difference between an experience that is meant to help us evolve, and negativity that is continually stirred up to keep people distracted and divided. But even when we have raised our vibration, it is very easy to dip back into dark thoughts and feelings, if we allow ourselves, because of our emotional memories and ‘negativity bias’. Which impacts the way the law of attraction (LAO) works for us. Those in control, who stir up negativity, know about the negativity bias, and they know how to draw humans into emotional suffering. When we stay in negativity, it prevents us from evolving and from becoming empowered. We can choose to stay out of it. The more negativity we focus on, the more we draw back. The more we focus on positivity, the more we attract. Like attracts like. Change your thoughts change your life? 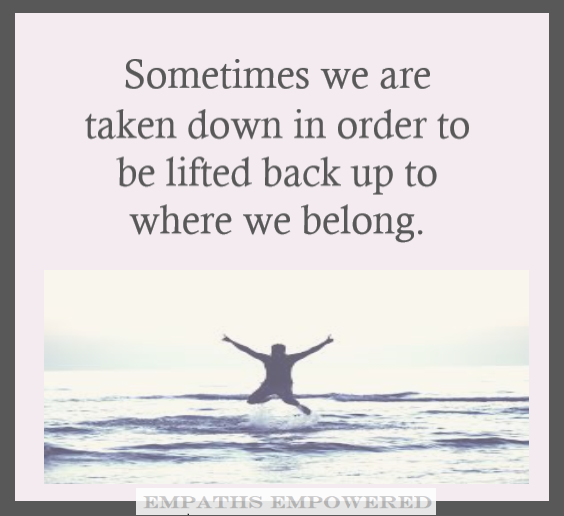 For Empaths, there may be more challenges when working the LOA. But there are many people who it seems only had to change their thoughts and keep a positive outlook to transform their life using the law. Why did it work for them and not for others? I expect their journey was meant to be easier. Their mountains weren’t as high to climb. The above people are very likely those who shared with the world that all we need to do, to change our life, is change our thoughts. It worked for them. They were the proof. But, alas, we are all different. When it comes to the LOA, we also have to consider that none of us really knows what we set out to experience in life, or what our soul contract involves. And we don’t always know what our programmes are to ‘create’. But choosing to keep our outlook and thoughts more positive, and not dipping into unnecessary negativity will most definitely make our reality nicer, whether we live on the breadline or in comfort. There are some very happy people who are poor. And there are some rich people who feel empty inside. Some of the unhappiest people I’ve known have been wealthy. I once knew a girl whose father was incredibly rich; he owned a beautiful big yacht that his crew would sail all over the Med. I assumed he must be super-contented in life, but she told me her father was not truly fulfilled. He always wanted more. When he sailed into different ports, such as Monte Carlo or Puerto Banus, there would always be someone with a bigger better yacht, moored up. He measured his worth by his wealth. So, when someone had more than him, it made him feel inferior. He continued to amass his fortune, but never really felt complete inside. We come to learn that the best things in life really are free. Material possessions offer little nourishment for the soul. Money really can’t buy health, happiness and inner peace. It just makes life more comfortable. Another puzzle with the LOA, is that bad things happen to good people and one may question where is the law working in that? Bad things happen to good people. And good things happen to bad people. And yes, some people do cruel things to defenceless children or animals. Innocent children get atrocious diseases and good parents suffer the consequence. This is when the LOA doesn’t seem to make sense. Why do innocents suffer so? But we don’t know how the law of karma has played out in these situations or indeed what the individuals soul contracts are. It also seems baffling when some people, who are not nice, do ‘well’ in life. They may have a life that most could dream of and have people pander to their every need. How is the law of attraction working here? If they are bad people, should they not be vibrating at a low frequency and attracting awful stuff? These types have big egos, and they believe in themselves 100%. They work the LOA to their advantage without even trying. They truly believe they are entitled to a fabulous lifestyle, and this is what many of them create, whilst stepping over anyone who gets in their way. But karma eventually comes around. Having been observing the world for many years, I’ve seen the law of attraction and karma work over and over. People may seem to get away with the bad things they’ve done for years, then, suddenly, karma catches up. The slower someone vibrates, the slower their karmic return, and this is why it takes many, many years for some to ‘reap what they sew’. For me, this belief helps make the cruelty of life make more sense. And, as I mentioned in my last post, karma may seem like a punishment but I believe it is a tool for growth and evolvement. 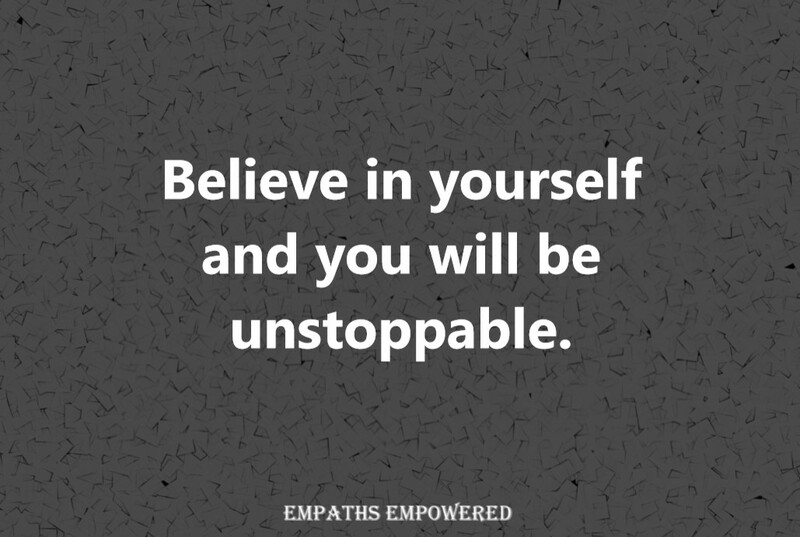 Understanding how the LOA works for an Empath, and for anyone else for that matter, is important if we want to avoid unnecessary unhappiness. And the best starting point is working to become the best version of ourselves. However, when we’ve done some inner-work, the work doesn’t stop there. We still have to stay out of the negativity purposely stirred up in the world, or we can find ourselves being sucked in. So, there you go. Obviously, this is a vast subject that takes much more than a few pages to cover (hence the book), but I hope these two posts have better explained to you the way of the law of attraction and the role karma also plays. Oh, and thanks again for the comment that inspired them. « Does An Empath Have A Disadvantage With The Law Of Attraction? I do agree like attracts like But I also have issues that I’d like to work on. I am very open about my anxiety and depression. Because of this, I have a lot of friends that lean on me or vent to me. I try to be supportive but their negative emotions literally affect my health. How do you support friends with depression without absoring all their feelings? I’d just like to hear your thoughts on this. It is difficult to spend time with anyone suffering, especially if you suffer with depression and anxiety, because their emotional energy can act as a trauma trigger. This is when many Empaths become stuck between a rock and a hard place. They want to help friends through their traumas, but find when they do it makes them feel ill, overwhelmed, etc. Have you asked your friends to try venting on paper? Writing down what we feel really helps put things into perspective. Perhaps ask them to email you their problems. Chances are after they’d typed out their troubles, they won’t want to send them anyway. But it will really help get their issues out of their system. As I said, it is difficult. My general advice is to try to avoid people who need to vent or are overly negative, because their energy can be toxic to the out of balance Empath. But I also know this is not easy when the people you love are suffering emotionally. I disagree. The more spiritual we become the more that the negativity around us changes us. We become increasingly sensitive to it, we question the causes of it and we become increasingly keen to change it, and in the process we change ourselves. No matter how high up the spiritual tree we go there are always going to be necessary negatives, both outside us and within us, that keep changing us. ‘The work’ doesn’t finish. To the day we die we keep improving. Our inner voice, whilst leading us away from unnecessary situations, will also be leading us towards ‘unnecessary’ situations e.g. it will tell us to give away a large amount of money. I agree that we shouldn’t fester within negativity that has been purposely stoked up, but we have to be aware of it, even if only as a basic defence mechanism to protect ourselves against the consequences of that negativity (e.g. mobs, wars), and that negativity will change us for the better if we are skillful. We experience it, we question it, and we set about changing the world around us and the world inside us. In extreme cases ‘festering’ in negativity can be a period of profound but invisible change (see below). Disagree. Negative experience never go away no matter how much we evolve. If anything they get worse, but our skill levels are meant to improve and we’re meant to be able to deal with them more successfully. Loved ones fall ill, jobs are lost, we get attacked from unexpected angles, and we put ourselves in awkward situations (that pesky inner voice). Incidentally, it’s not just Empaths who have negative experiences – it’s everyone. ‘But even when we have raised our vibration, it is very easy to dip back into dark thoughts and feelings, if we allow ourselves, because of our emotional memories and ‘negativity bias’. Which impacts the way the law of attraction (LAO) works for us. There’s nothing wrong with dark thoughts and feelings. We cannot have a positive side without a negative (shadow) side. We have to learn to accept our shadow side. It exists within us, and it always will, no matter how spiritual we become. We simply choose not to go the way of our shadow side. However, if push comes to shove our shadow is there to be utilized – any warrior will use it, under control, if necessary. Staying in negativity isn’t good – and yet it is good. People fester in negativity and outsiders might think that they’re not changing – but one day such people decide that they’ve had enough, and they hit rock bottom and decide to change. That can apply to individuals and nations. Psychopaths can play a very negative, but also very positive, role in such change. Germany and possibly Japan and Italy went through totalitarianism (rule by psychopaths, typically behind the scenes) and a period of huge destruction (the second world war) but emerged profoundly different. True but not true. Negativity felt towards others can cause huge problems for ourselves and for them, which can lead to more negativity coming back to us (which can then force us to change). However, simply having a neutral or positive attitude towards harmful people won’t change their behavior towards us – we need to have some negativity (e.g. fear, skepticism, distrust) in order to avoid harm from them. Being positive will not attract positives into our lives anymore than being positive in the middle of a desert is going to attract a rescue plane or being positive in the middle of a war zone is going to prevent shells and bullets hitting us. Being positive is simply an attitude that improves our odds. Equally important are a vast array of life skills such as intuition, critical thinking, the ability to assess situations, decision making abilities, the ability to spot opportunities, perseverance, communication skills and practical skills. ‘But there are many people who it seems only had to change their thoughts and keep a positive outlook to transform their life using the law. You mean the people who sold books saying that if you think positively money will come your way? It seems to me that these people come from the same stable as Multi-Level Marketing schemes, multi-millionaire ‘spiritual’ gurus and ‘get-rich-quick’ schemes. If so you might find a website called ‘saltydroid’ interesting. The author, an attorney, tried to educate people about such characters by ridiculing them in the guise of a foul-mouthed robot. Some of his earlier posts have 600 or more comments. He was successful in saving some people from the clutches of scammers but the scammers continued unfazed. After many years he became downhearted, stopped posting for a while, and then decided to use his legal skills to fight the scammers in the courts. There are mentions of the LOA and ‘The Secret’ on that site. You can guess what I’m going to write – negativity is necessary. Even when it appears unnecessary to outsiders. And being positive will not change reality – for example, it won’t rescue a failing relationship. I like positivity as much as the next person but I like to mix it with negativity and see the problems that have to be overcome. I even like being negative. When I’m depressed and eating ice-cream because there are too many problems, internally and externally, to solve I enjoy being depressed and eating ice-cream. And of course after the negatives come the positives. There’s no puzzle in the LOA – it’s an oversimplified scam that doesn’t add up, no matter how it’s looked at. I agree and disagree. I agree that it’s impossible to make an emotional connection with psychopaths, and they do feel ‘clean’. However, psychopaths don’t work the LOA. They have hardly any emotions so there’s little emotional content in their attitudes and goals, they flit from project to project and ‘relationship’ to ‘relationship’ so their goals don’t last very long, and the flip side of grandiosity is that behind their masks they feel a barely concealed secret contempt for the people around them. I personally believe that the LOA is a superficially logical and very appealing scam. As such, the LOA is a negative. Anyone with a bit of spark and questioning will inevitably come into contact with the LOA, ‘spiritual’ gurus and the like on their journey. P.S. thanks for the thanks for the comment. I’ve been around the block a few times. Thanks! You are so right in everything you write. I agree there’s a difference between the hardships we are supposed to encounter for our growth vs. negativity artificially created by powers that be. I noticed that as I’ve gone through some very difficult things over the past two years, the unexpected result was that I found myself much stronger. I don’t seem to pick up other people’s stuff as easily. I am much more relaxed around people and even in crowds. And the latest guidance I recieved from the inside (when trying to manifest a job), was that my job was to get rid of all the limiting beliefs I have about looking for a job and money. The universe/my higher self will take it from there. So I resonate with your statements regarding beliefs.